Time, Cost & Quality – Choose Two – Eclipse Building Corp. 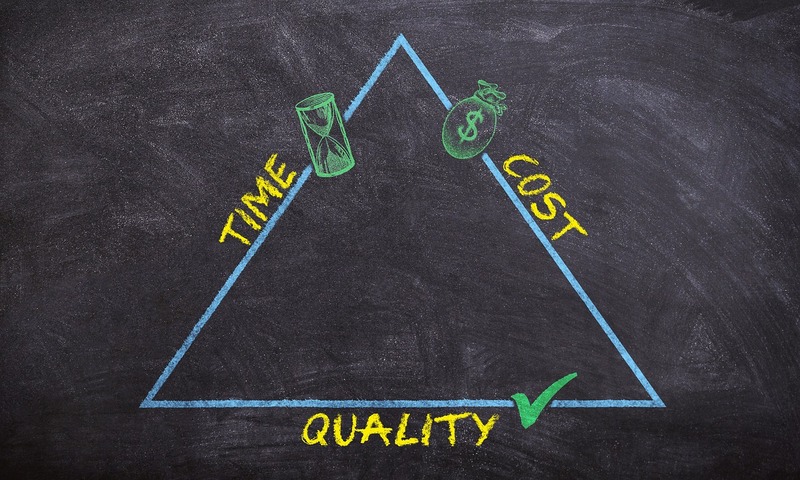 I bet you’ve heard the saying: Time, cost and quality – Pick two. Sometimes represented as the project management triangle, other times called the “triple constraint”, these three determining factors can guide the success – or failure – of your commercial construction project. And so the everlasting battle between construction experts and clients carries on. Those that work in construction know what it takes to do their job. Clients, as with anything else, don’t care about what it takes to deliver what they want. They care that you deliver what they envisioned on time, on budget and looking good. Frankly, I’m tired of having of having this conversation with clients mid-project. 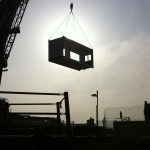 So let’s nip it right now: The triple constraint is not a way for us in the construction business to threaten a client. We don’t enjoy having to pull it out when they ask to shave two weeks off the schedule without cutting corners or affecting the budget. Or explain why swapping tile for waterfall concrete countertops will add time and manual labor to their project plan. It is also not a way for construction professionals to cop out. Granted they don’t change the project plan midway, even the cheapest client out there deserves acceptable finished, sticking to the established budget and delivering when promised. There are standards, and those should never be compromised. For both sides, it’s a matter of setting priorities and sticking to the plan. If we establish at the beginning that the priorities are time and money, don’t question why you can’t afford marble. If you want everything custom-made with high-end materials, know that it will come with a price tag and take some time. The time/cost/quality conversation should be had at the beginning of every project. Establishing priorities right off the bat will lead the design and project plan, set everyone’s expectations throughout the project and avoid uncomfortable conversations down the line. So, what will it be? Time, money or quality? Choose two.